‘Veins’ is a transportation of dynamic dance carried towards the heart, providing the circulation of dance to cells and bodies. The show celebrates the culmination of the Dance Company's journey for 2017. 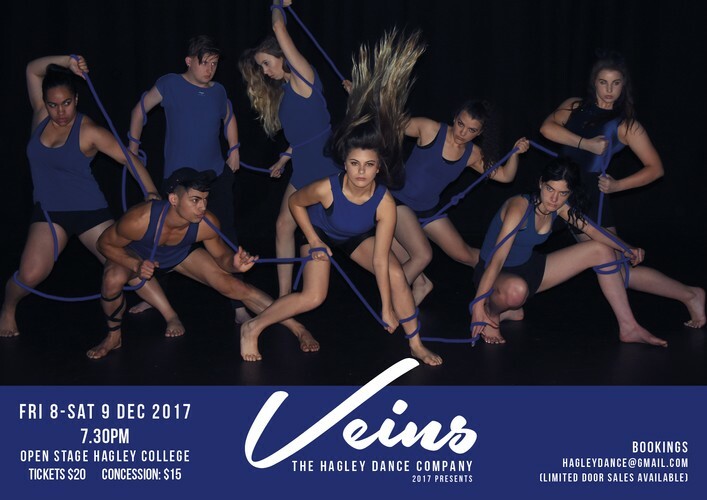 Featuring student choreography under the curation of Fleur de Thier, Julia Harvie and company director, Naressa Gamble. (Limited door sales - booking recommended).